23:28 – Selections from our Sunday Morning Worship Service at The Unitarian Universalist Congregation at Montclair by UUCM Member Laurice Grae-Hauck. by UUCM Member Laurice Grae-Hauck. 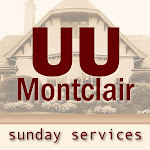 34:51 – Selections from our Sunday Morning Worship Service at The Unitarian Universalist Congregation at Montclair by UUCM Music Director Markus Grae-Hauck with Terry Cummings, Malinda Loflin and Charles Loflin. by UUCM Music Director Markus Grae-Hauck with Terry Cummings, Malinda Loflin and Charles Loflin. 25:07 – Selections from our Sunday Morning Worship Service at The Unitarian Universalist Congregation at Montclair by UUCM member Patty Dow. 34:11 – Selections from our Sunday Morning Worship Service at The Unitarian Universalist Congregation at Montclair by Rev. Scott Sammler-Michael.